Welcome to the official website of Michael Blumsack. Michael Blumsack has been in real estate since 2007. Michael Blumsack is a native of Brookline, MA, Michael works with developers, buyers, sellers and property managers. He brings a strong real estate and entrepreneurial background to his business and has worked in financial services, publishing, and marketing prior to real estate. Entrepreneurism and real estate runs in his family. Michael Blumsack is a graduate of the University of Massachusetts. 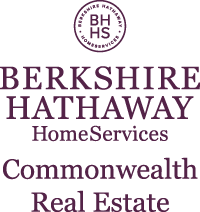 About Berkshire Hathaway HomeServices real estate brokerage network. The brand is inspired by world-renowned Berkshire Hathaway Inc. – Warren Buffett’s worldwide holding company – and our vision is crystal clear: to be the best-recognized and most highly respected homeownership services brand in the U.S. and across the world.